Times have changed as currencies are moving towards digitalization. As a result, Bitcoin is one of the top digital currency that has been in the news for past few years. So, now its right time for webmasters to start accepting this digital currency as a mode of payment for their website. Through this websites, transactions can be done by bitcoin easily. 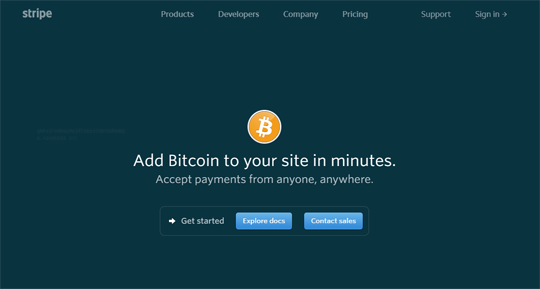 In this tutorial, we will describe 5 best ways to accept Bitcoin payments on your website. But before this, you should also get to know some benefits of bitcoin payments. Accept Payments Easily: You just must make a wallet address through which you can accept bitcoin payments. Convert to your desired Currency: Bitcoin currency can also be converted into standard currency as there several programs that do this job. Hold Bitcoins to gain Profit: You can even hold bitcoins as the investment. Get funds more Quickly: The transaction from credit cards may take few weeks, but with Bitcoin, you can use your funds as soon as the payment is made (which takes only a few minutes). Free from Chargeback and Frauds: With bitcoins, there is no need to worry about chargeback or frauds because bitcoin network secures it. Let’s come back to the steps that help you in adding bitcoin payment method on your website. There are three ways to accept bitcoin payment on your website. Coinbase is the largest Bitcoin exchange website. In this website, you can buy and sell bitcoins from credit cards. You can sign up as an individual or business. By either means, you will be able to buy or sell Bitcoins, and you can also cash bitcoins out in your bank accounts. Coinbase just charges 1% fee in converting Bitcoins to normal currency. It is also the savage way to keep your money in somewhere. Coinbase is a secured website; you can cash out whenever you want. Moreover, Bitcoins’ value is also increasing rapidly, so it is also an excellent platform for the investment purpose of bitcoins. BItPay is also one of the leading bitcoin payment processors. You can receive bitcoin payments through BItPay, but you can’t buy or keep Bitcoins in your Bitpay’s account. It simply transacts your money into your bank account by charging 1% fee. Bitpay is also the trusted Bitcoin exchanges. BitPay has made its name in e-commerce industry; it supports many leading online shopping stores such as Shopify, Stream, etc. The platform also supports one-time payments, offers subscriptions and even receive donations too. Bitpay also supports invoicing and record keeping too which makes it the ideal possible platform available for blockchain technology. Stripe has also started to accept Bitcoin payments. 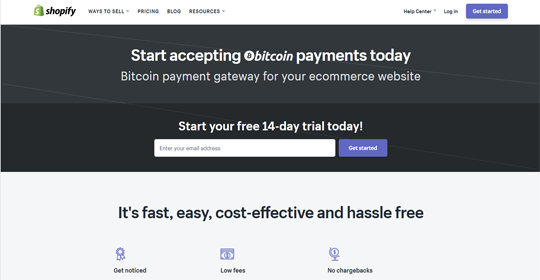 If you are already using Stripe to receive payments on your website, then you can simply add Bitcoin payment method on your website. Integrating Bitcoin payments through stripe is extremely simple and only takes few minutes. Stripe imposes just 0.8% tax per successful Bitcoin transaction, capped at $5. There are no additional fees. Shopify also accepts bitcoin payments by using your e-commerce store. It allows you to capture an emerging market of digital currencies and new customers who are finding places to spend their bitcoins. Furthermore, Shopify is also a well popular e-commerce platform so that you can trust the authenticity and reliability of the services they offer. In this method, there is no third party. 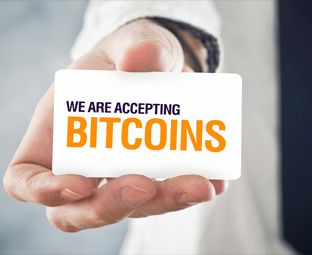 You can accept bitcoins manually without going to any other bitcoin payment websites. This process is so easy as you just make your bitcoin address and mention specific amount for each of your product/service. People can send you bitcoins in your wallet address, and you will get to know as the transaction is confirmed. This is the easiest method, but you will have to keep your invoices, receipts or records on your own. Above were some few methods of accepting bitcoin payments on your website. As an era of currencies has been changing rapidly, websites should look up this and make bitcoin payment option on their websites through which users can pay.